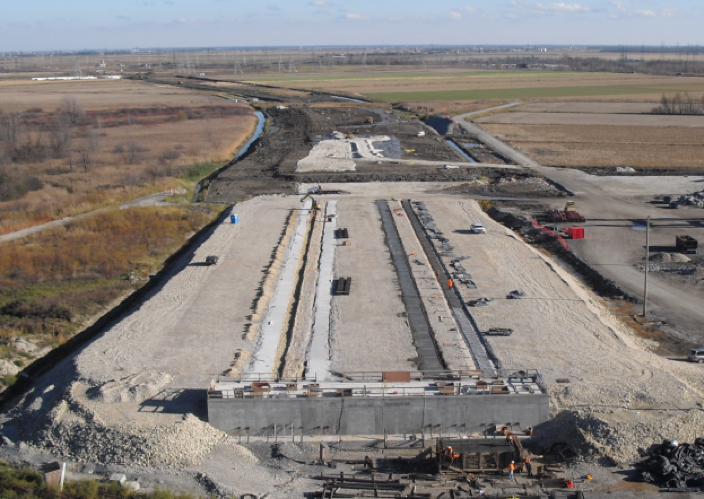 By installing Controlled Modulus Columns, Geopac provided stability and support for the embankment loads during construction of the bridge. Completion of the Highway 30 project is composed of two sections totaling over 54 km in length. Construction of the western 42 km section has been awarded to the NA30 CJV. 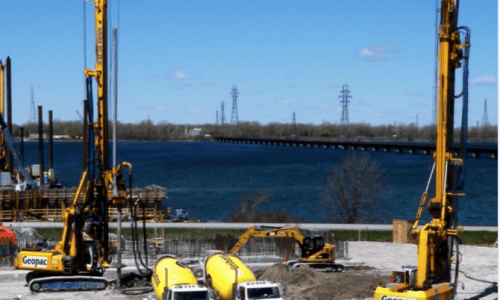 Ground improvement was required to reinforce the underlying soft soil beneath the access embankment for a bridge spanning the Beauharnois River. The embankment will also be used as a work platform for launching bridge elements during the construction period. Geotechnical investigations reported the soil as being relatively homogeneous across the embankment area. Generally the subsurface soil is composed of a 7m thickness of clay fill underlain by 9m of native clays deposited by the Champlain Sea. Beneath the native clay deposit is a 3m thickness of till composed of silty and gravelly sand resting on bedrock. 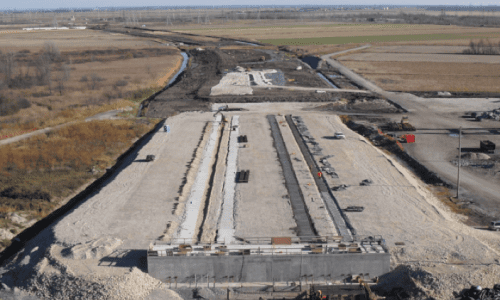 Ground improvement was required to provide stability of the fill under its own weight, support loads applied by a 10m high embankment and limit total settlements to 100mm. During the bridge element launching operations, settlements from the precast unit loads were limited to 100mm. 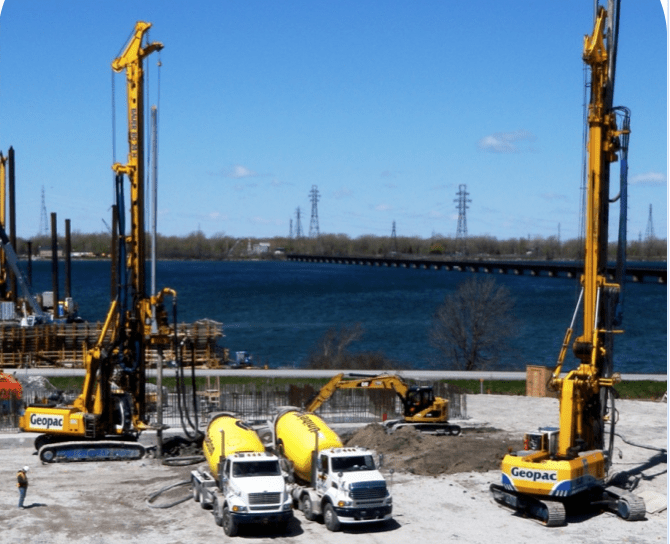 To meet the project specifications, Geopac proposed to install semi-rigid elements called Controlled Modulus Columns (CMC), through the full thickness of the clay layer down to the dense till (approximately 16 to 18m treatment depth). The CMCs had a diameter of 420mm and were installed on a square grid pattern. To meet the demanding project schedule, two production rigs worked concurrently to install a total of 3500 CMCs. As part of an extensive QA/QC program, settlements were closely monitored during the bridge element launching operations. Induced settlements were measured between 16 and 26mm, values which are far below the specified 100mm and less than the predicted 47mm calculated using a finite element analysis.